Due to improving safety standards and stringent building regulations, fire rated glass is becoming a common requirement for many commercial properties. However, there are many different variations of fire safety glass and it’s important to ensure that you’re choosing the right panels for your building and requirements. The below are 5 key things that you need to consider before purchasing fire safety glass. Does the glass have a certified fire rating? Security glass manufacturers need to be certified to produce and sell fire safety glass. Manufacturers must use the correct machinery, follow strict protocol and ensure contamination of the fire glass is never a risk. All manufacturers are required by law to provide a certificate of authorisation to manufacture and sell fire glass products. It is the buyers responsibility to ensure they only buy fire safety glass solutions from reputable, certified manufacturers. Fire safety glass must be stamped with the relevant EN standards along with the manufacturers name. Is the glass fire protective or fire-resistant? Before purchasing, enquire if the fire safety glass solution is classified as fire protective glass or fire resistant glass, as these are constructed differently. Fire protective glass has a glaze which protects against the spreading of flames or smoke. These typically come with fire ratings ranging from 20 minutes to three hours, and are generally suitable for where building codes require ‘opening protective’ assemblies. However, this glass must meet the area and size limitations under the applicable building code and/or authority having jurisdiction. On the other hand, fire resistant glass provides the same defence and more. It also blocks the transfer of radiant and conductive heat, due to the multi-laminates including several layers of glass with fire-resistive inter layers. This is useful where building codes require an enclosed space to be designated as fire resistant, like a stairwell or exit corridor that requires a 60-minute or greater fire rating for evacuation. How long can the glass provide fire protection for? The thickness and size limitations for fire rated glass are based on the glazing that will be installed for the glass. The various fire ratings are 30/0, 30/30, 60/0, 60/60. For evacuation and fire fighting purposes, ideally fire rated glass should provide at least one hour of fire protection. However, the time for which it can withstand flames and smoke for depends upon a few variables. These include the glazing option chosen, the type of glass, and perhaps most importantly, the quality of the glass. High quality fire safety glass can provide up to four hours of fire protection, and so is well worth investing in. What do the fire protection ratings mean? Fire rated glass with a 30/0 rating will contain the fire in the room for a period of 30 minutes but offer 0 minutes protection to the frame work surrounding the glass, so, it may get very hot. This can lead to an impassable passage way for people exiting a burning building. 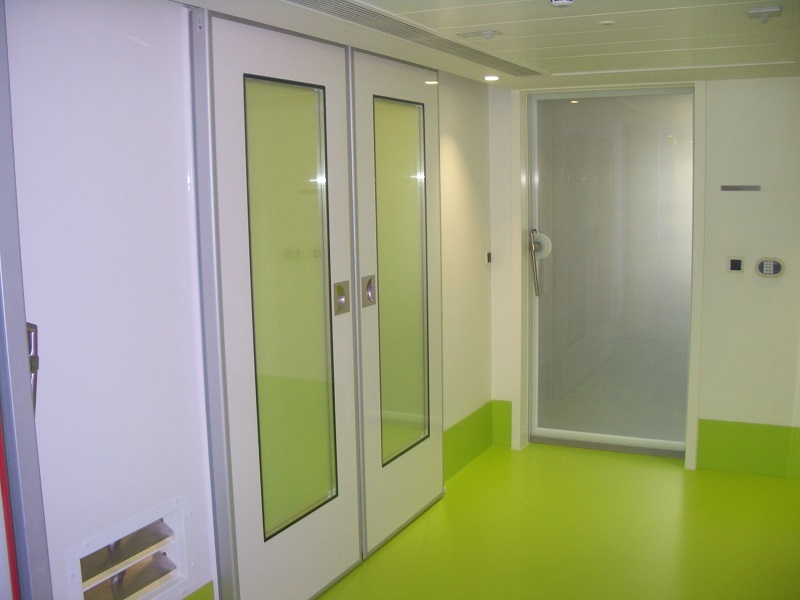 Fire rated glass with a 30/30 rating will offer 30 minutes of fire containment and 30 minutes of protection for the frame work and outside walkways, allowing people to pass through the framework without being heavily exposed to intense heat. Is fire glass available single, double and/or triple glazed? Fire safety glass is available in single, double and triple glazed options. The more layers of glass, the greater the protection. Having additional layers can also increase the energy efficiency of your business, as they prevent heat from leaving the building. However, ultimately the number of layers required differs based on your business, as some companies simply don’t have the security requirements for double or triple glazed fire safety glass. For more information on fire safety glass, feel free to contact the expert Diamond Security Glass team or download our fire glass brochure.